Supporters lined the streets as a record number of runners converged on Stadium MK for the Milton Keynes Marathon events on Sunday 30th and Monday 1st May. Olympian Gail Emms and BBC radio presenter Jo Whiley were among the 10,000 runners who took part in a weekend of running with course records set by the women in the Marathon, Half Marathon and Sunday’s Rocket 5K run. Gareth Cooke won the men’s full marathon in 2 hours 40 minutes and 8 seconds, while Asia Zmyslona was the first female marathon runner to cross the line, doing so in 2 hours 57 minutes and 37 seconds, setting a new course record. David Hudson was first across the line for the men’s half marathon in 1 hour 14 minutes and 16 seconds, while Rebecca Moore was the first female half marathon runner to finish in 1 hour 16 minutes and 50 seconds setting a new half marathon course record. The winners of the BMI The Saxon Clinic MK Marathon Relay, in which groups of four runners competed to lift the title of fastest team in the race, were SASSquatch who completed the marathon course in 2 hours 53 minutes and 20 seconds. The MK Rocket 5k race returned for the second year on Sunday, the day before the main event and was enjoyed by 1,570 people. It was won by Mark Hill in 16 minutes and 15 seconds and Rosanna Andrews in 18 minutes and 20 seconds setting a course record for the women. A record 1200 Superheroes completed the MK Dons SET Superhero Fun Run and enjoyed the sunshine and electric stadium finish with Lucy Watts coming first. The marathon was one of the flagship events of the MK50 celebrations and runners raced through some of the most picturesque parts of the new city including the countryside and parks of the Ousel Valley, Bradwell Abbey, Woolstone and Milton Keynes Village as well as the Peace Pagoda at Willen Lake and concrete cows. The marathon and half marathon courses both started on the wide open roads outside StadiumMK and made use of Milton Keynes’ green spaces. Plus runners from all four races got to experience an iconic finish inside StadiumMK. Over 600 people completed both the MK Rocket 5k on Sunday and either the marathon, half marathon, or relay on Monday earning themselves the MK Challenge Medal, which featured a cow, one of Milton Keynes’ famous icons, and a ribbon highlighting their two days of running. There was plenty of fun to keep everyone entertained with a brand new Family Zone featuring a live DJ, music and entertainment plus inflatables, a climbing wall, bungee trampolines and bumper cars. A host of local and national charities will benefit from Milton Keynes Marathon with runners raising funds for Gold charity partners Macmillan Cancer Support and Harry’s Rainbow plus other good causes including the Henry Allen Trust, MK Dons SET, MK Hospital charity, Florence Nightingale Hospice Charity, MK Gallery, Thomas Cook Children’s Charity, St Francis Children’s Society, MacIntyre and MedicAlert. Brioche Pasquier’s new production facility in MK provided 10,000 brioche buns for finishers in a new partnership for 2017. Other local businesses supporting the event included Marathon Relay sponsor BMI The Saxon Clinic, Subway, APLE, Murrays and Jeanius Consulting. 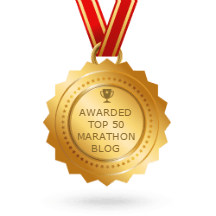 As well as consistently being ranked in the Top Ten of UK marathon events, Milton Keynes Marathon is also one of the best organised, with British Association Road Race Gold accreditation for outstanding race management. Even details like bag collection were taken care of with the local Scouts waiting as runners leave the track, ready to call out race numbers and run back with their belongings.